Since the beginning of the pilgrimage to the apostle tomb, it’s been mandatory for pilgrims to prove they’ve completed the Way. Nowadays, this piece of evidence is the compostela. Do you want to get to know the compostela origin and its long history? The compostela is the document that confirms that the pilgrim has completed the Way. It is a piece of parchment paper illustrated with a frame of oak leaves and scallops and the walker’s name in Latin. It’s signed by the capitular secretary of Santiago’s church, as it is granted by the Catholic authorities. You’ll need a compostela to prove that you’ve completed the Way to Santiago. 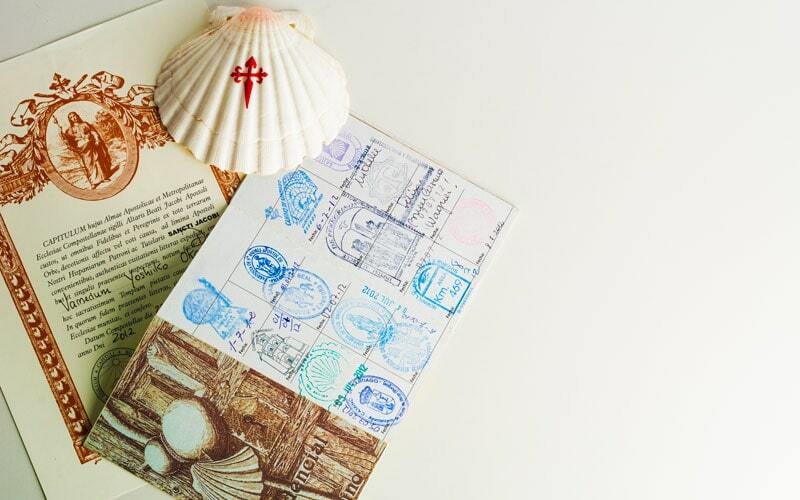 During the first centuries of pilgrimage, scallop shells were used to mark each stop towards Santiago. However, forgers started to sell them in the city and the Catholic Church decided to excommunicate anyone who dealt with them. Probative letters were later established (in the 13th century), as it was much more difficult to copy them. These letters would be the origin of the compostela. The Catholic Monarchs also played an essential role in the compostela history. In the 16th century, they decided to establish the Royal Hospital Foundation, which allowed to host any pilgrim that was carrying a compostela for 3 days and to provide them with medical assistance. Time went by and this institution became one of the best hospitals in Galicia. Nowadays it’s a Spanish Parador. The first 10 pilgrims that get there with a compostela can have breakfast, lunch and dinner for free. 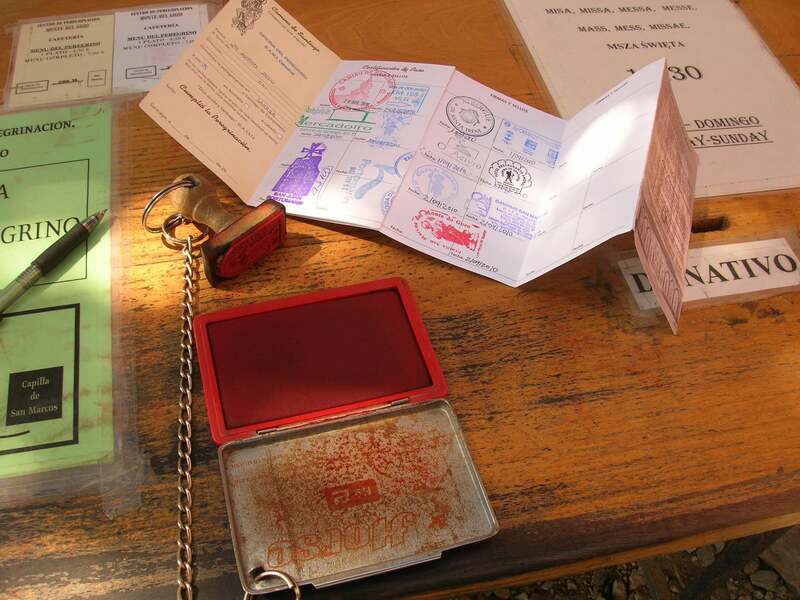 To prove that you’ve visited every stop, you must carry a document to seal it at each checkpoint. You’ll be able to stamp it at churches, hostels, restaurants and other establishments associated with the Way to Santiago. Every stamp must come with a date. Since the compostela origin, the main reason to complete the Way has been religious; however, sport and leisure are important today as well. 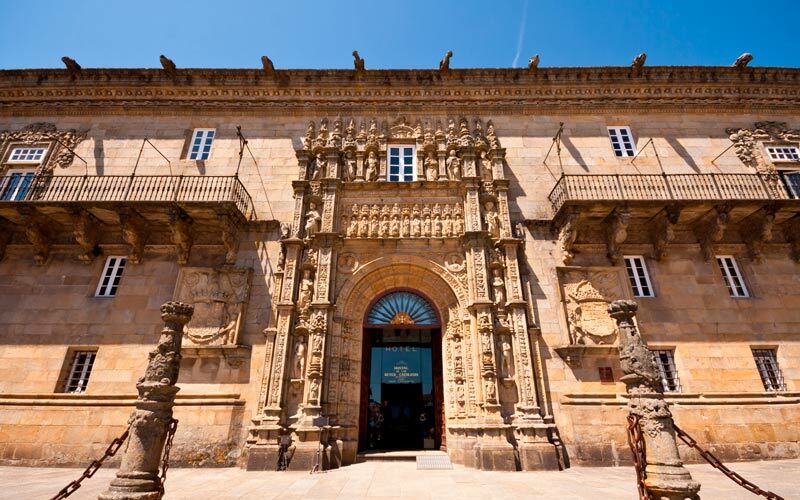 If you’ve been sealing your credentials correctly along the way, once in Santiago you must head to the Pilgrim’s Office, located in Carretas Street 33 (next to Obradoiro Square). After delivering the documents there, you’ll be given your own compostela. Since the compostela origin, this credential has been a physical recognition of the steps taken by each pilgrim to reach Santiago. A compostela is a reward for your effort and sacrifice; so, if you’ve gotten one, congratulations! You’ve managed to complete the Way to Santiago.